It’s no secret that breastfeeding is a controversial topic, but many mothers find it to be an essential component of raising a child (although it’s completely fine if you don’t share this thought process!). For many new moms, breastfeeding is an important way to not only feed their child, but to bond with them. Yet what if you didn’t actually give birth to your baby — can you still breastfeed if you use a surrogate? Although many people assume the answer is no, that isn’t always the case. When you’re pregnant, your body prepares itself for lactation as pre-birth hormones stimulate the production of breast milk. So if you’re never pregnant, your body can’t do that…right? Well actually, that’s not always the case. Although breastfeeding if you were never pregnant is tough, it’s still possible. It just takes some time and dedication. There are hormones, supplements, and medications that can allow you to breastfeed your baby even if you used a surrogate. Months before your pregnancy, your doctor can prescribe you hormones (often birth control pills) that work to trick your body into believing it’s pregnant in order to stimulate the production of breast milk. Once your baby is born, they can then give you supplements and medication to promote that production. Here’s the catch: Even if you are able to trick your body into making breast milk, it’s likely that you won’t produce enough to sustain the baby, as many mothers discover throughout the process. Many women who breastfeed in this way have to also use a supplemental nursing system like formula, the surrogate’s milk, or pumped milk. This allows you the benefits of breastfeeding, even if only for some of the time, which can be a big deal for a mom who feels breastfeeding is extremely important. Of course, it’s also important to remember that every woman’s body is different, and some women may find it nearly impossible to produce milk through this process. Keeping this in mind, it’s important to work with a doctor if this is something you’re interested in pursuing. 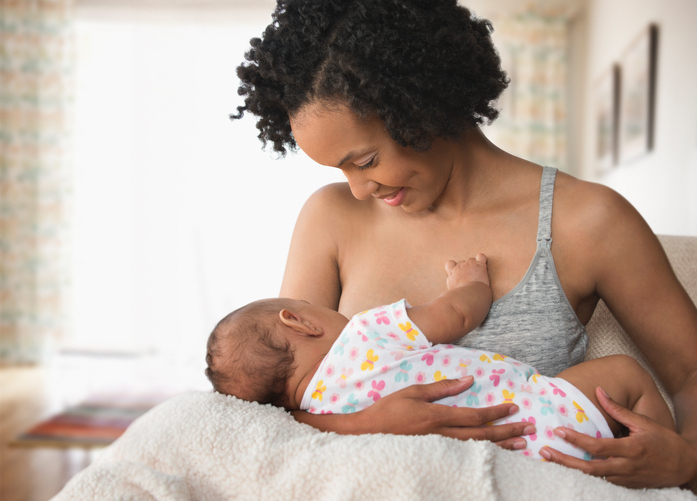 If a mom wants their baby to have breast milk over formula, but she can’t produce enough to sustain her baby on her own, she has another option: use the surrogate’s breast milk. The surrogate, obviously, was pregnant, meaning their body is probably producing enough breast milk for the baby. The surrogate can pump and give the milk to the mom so she can bottle-feed it to her child. The surrogate could also actually breastfeed, but, as SurrogacyByDesign.com points out, many people opt against this over fear of the surrogate bonding too much with the baby. It’s important to remember that breastfeeding is a personal decision, and there isn’t a right or wrong answer when it comes to whether you should do it, surrogate or not. But it’s nice to know that, for mothers who use surrogates and still want to breastfeed, the option is there.